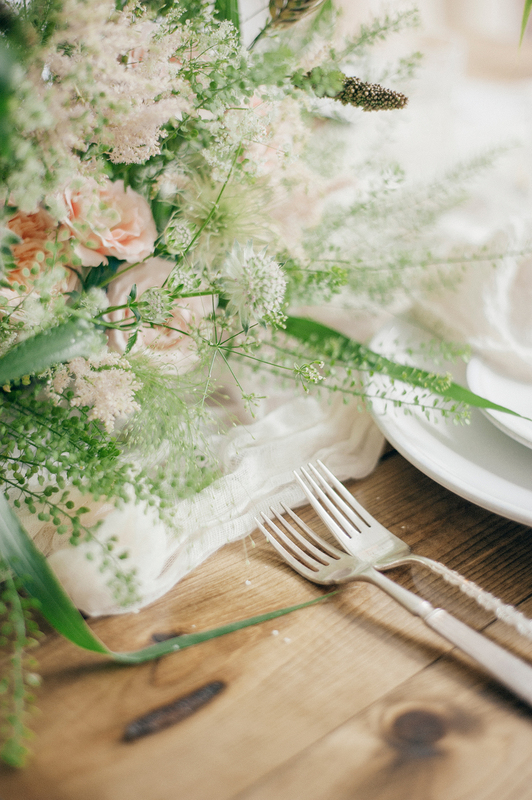 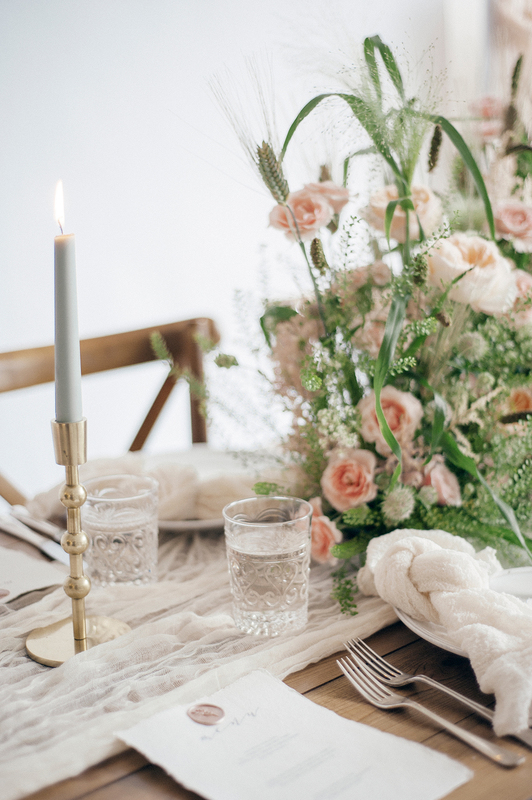 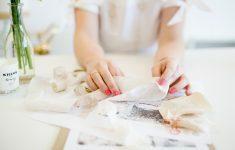 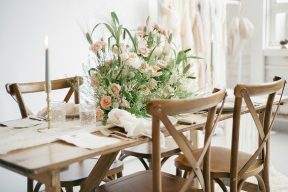 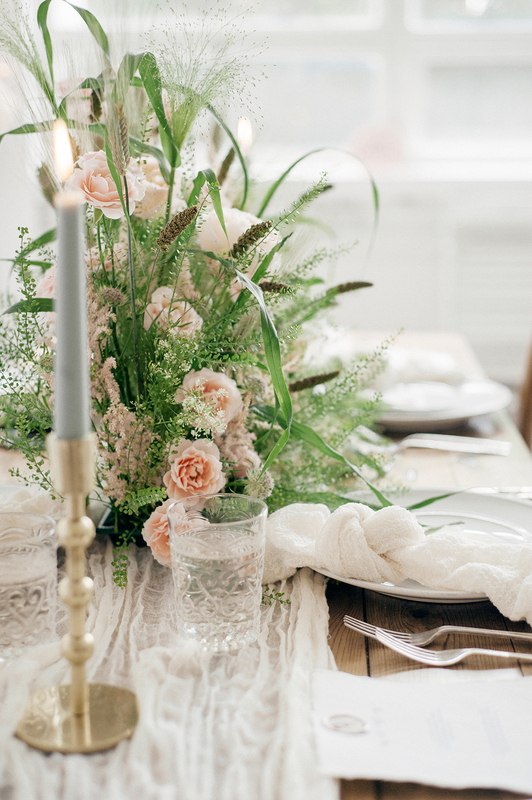 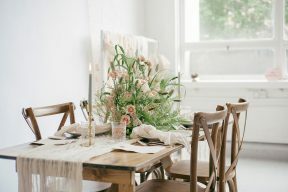 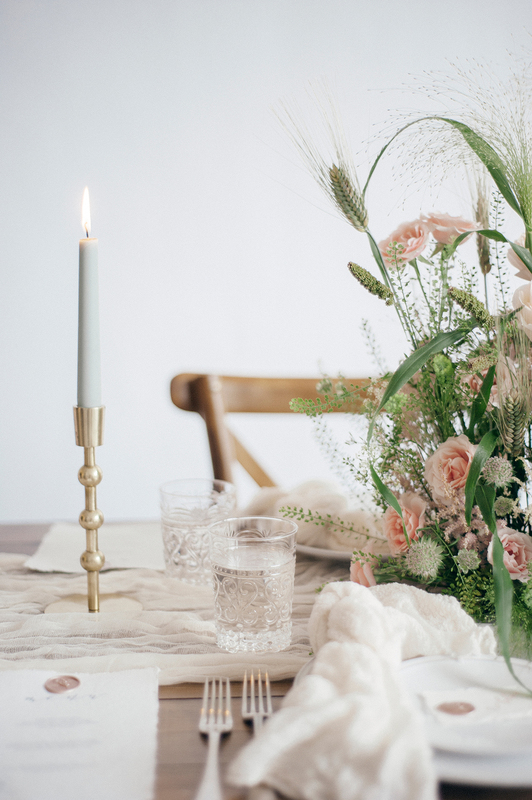 There’s nothing I love more than exploring new trends and ideas to share with you right here on B.LOVED, and I know that incorporating trends in a stylish and timeless way is a big part of your wedding planning too! 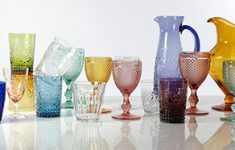 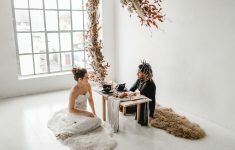 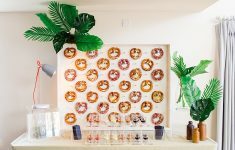 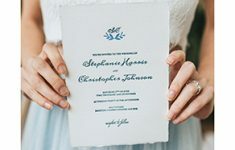 For me, trends aren’t about going all-out with the latest fad (a Pantone-inspired wedding is sure to date within 12 months!) 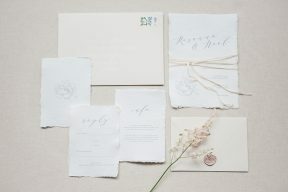 but finding ways to gently embrace current inspirations in a way that still stays true to your style as a couple. 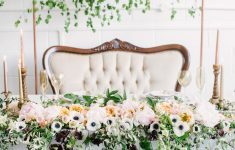 That’s why I absolutely ADORE this trend; it’s easy to incorporate into any wedding style, will keep your wedding day look fresh and modern but looking back in 5, 10 or even 50 years’ your wedding will never date. 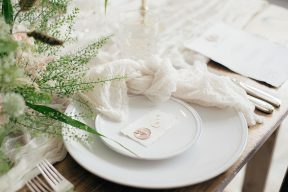 So, what is this magical trend? 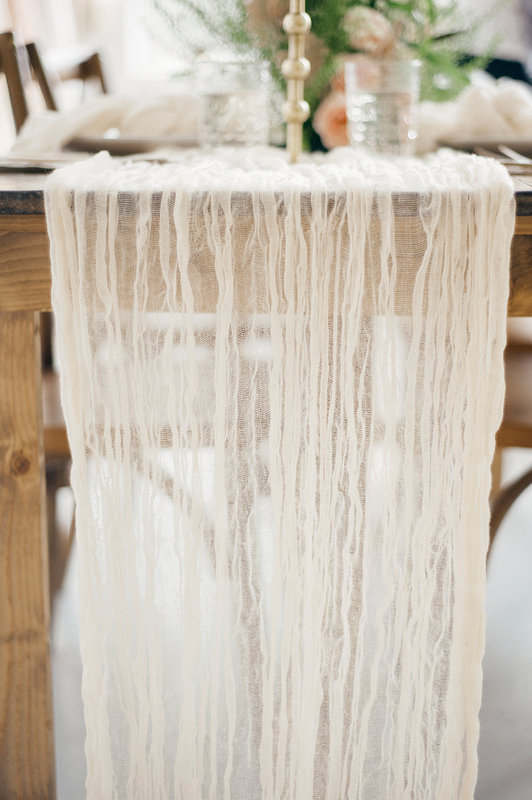 Texture! 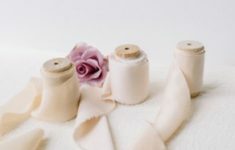 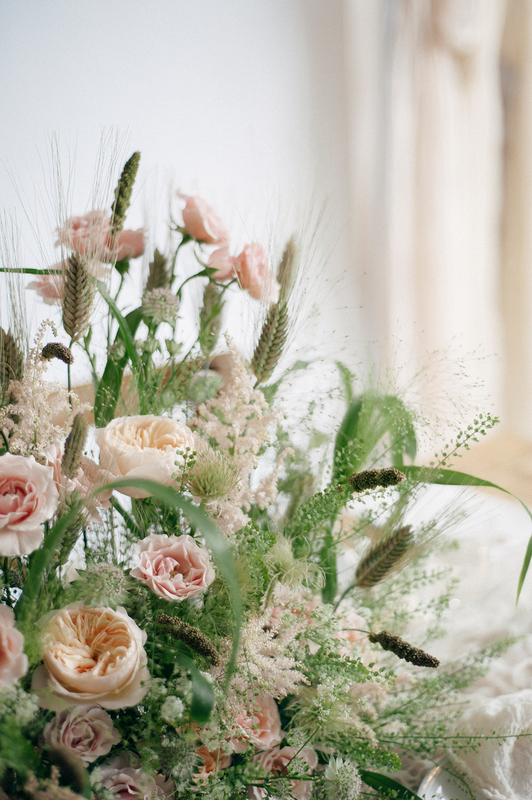 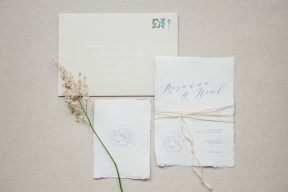 Over the past 12 months I’ve steadily seen more and more textures popping up in weddings – it started with pampas grass, then velvet, and has slowly been working it’s way into magnificent laces and fabrics in some of my favourite designers’ collections (check out Halfpenny London and Andrea Hawkes for inspiration!). 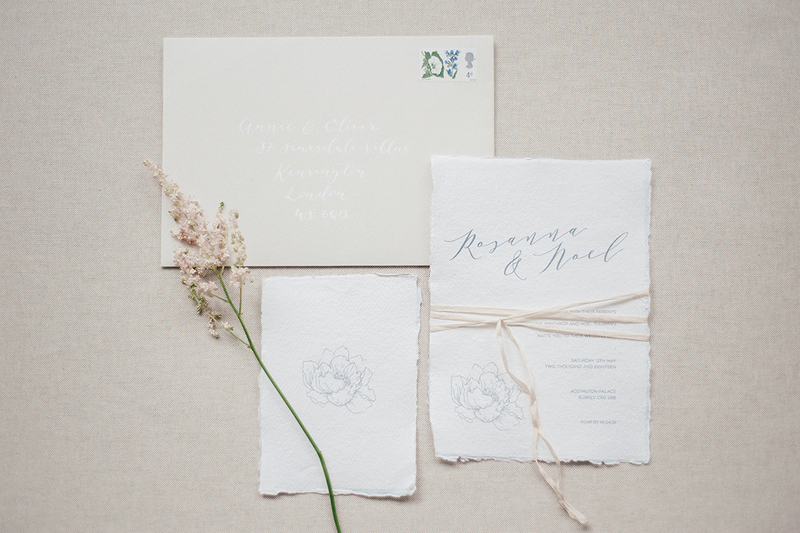 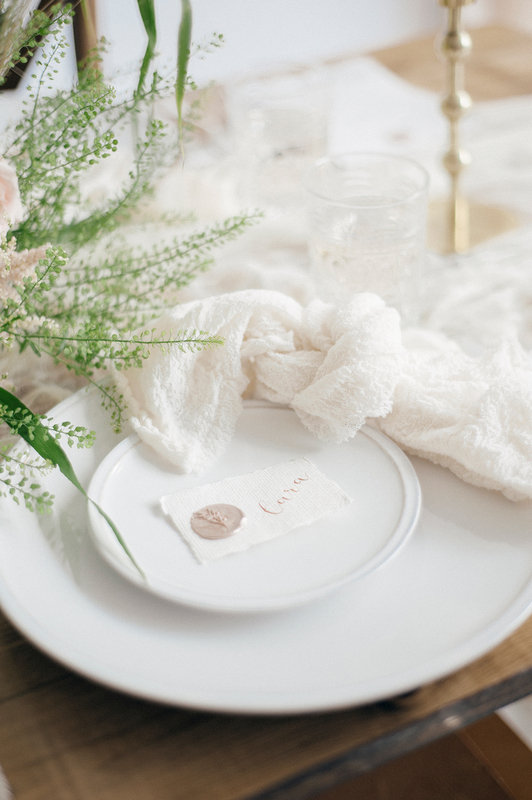 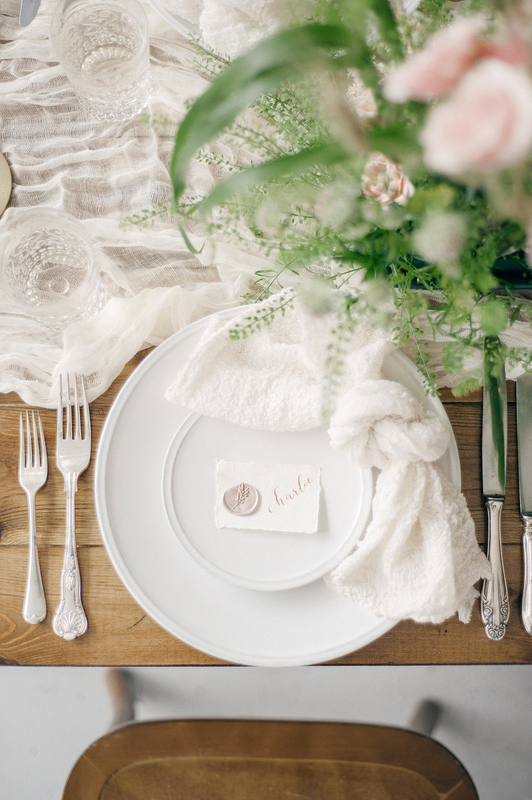 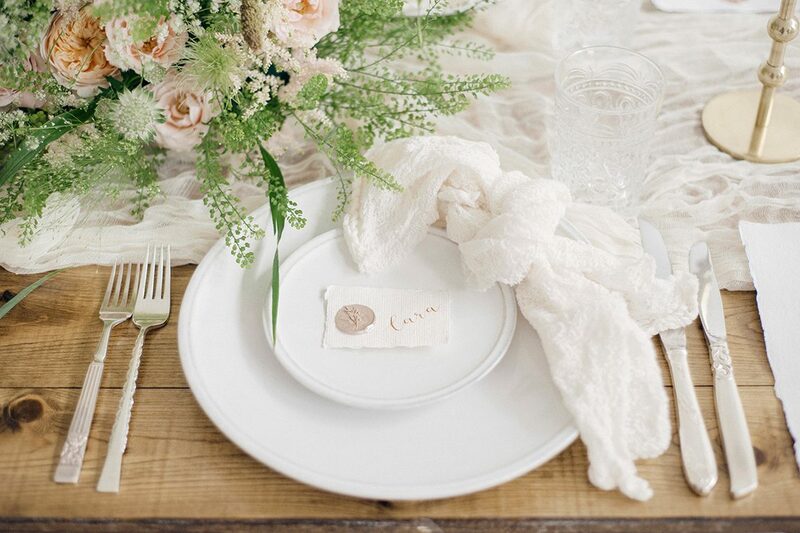 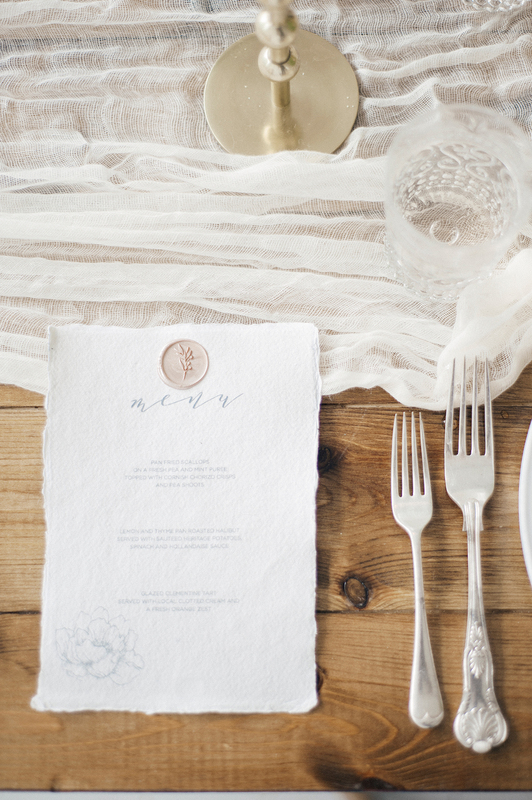 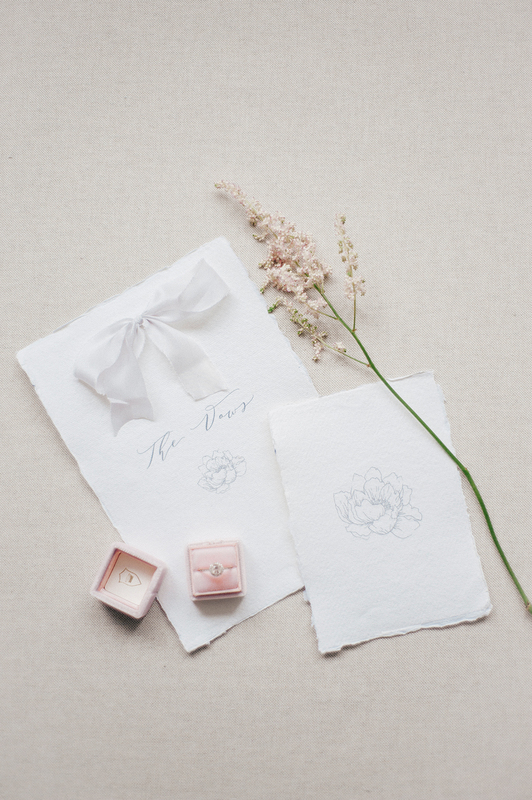 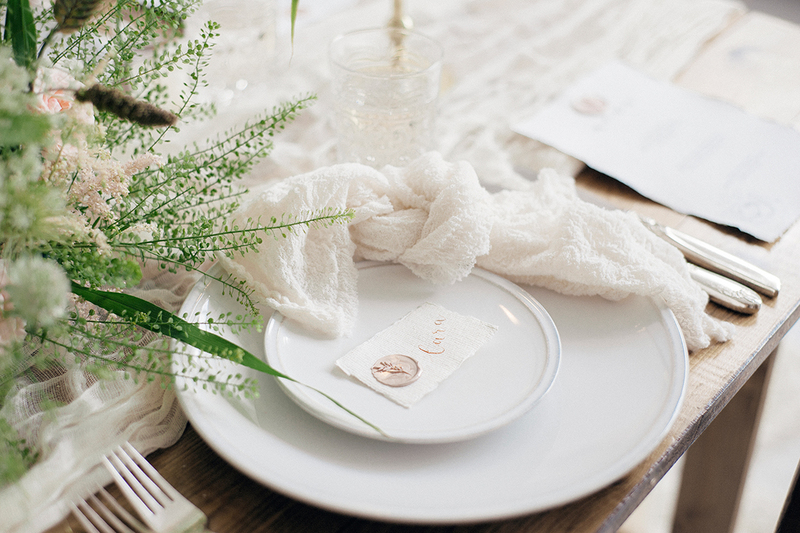 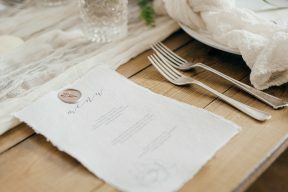 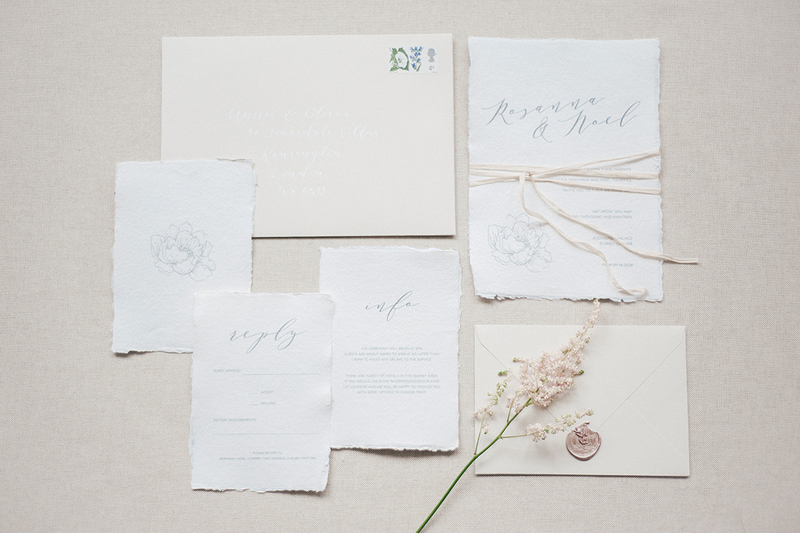 At each place setting natural earthenware is topped with a hand-crafted place card made from natural paper, finished with modern calligraphy and a handmade wax seal by White Olive Design Studio. 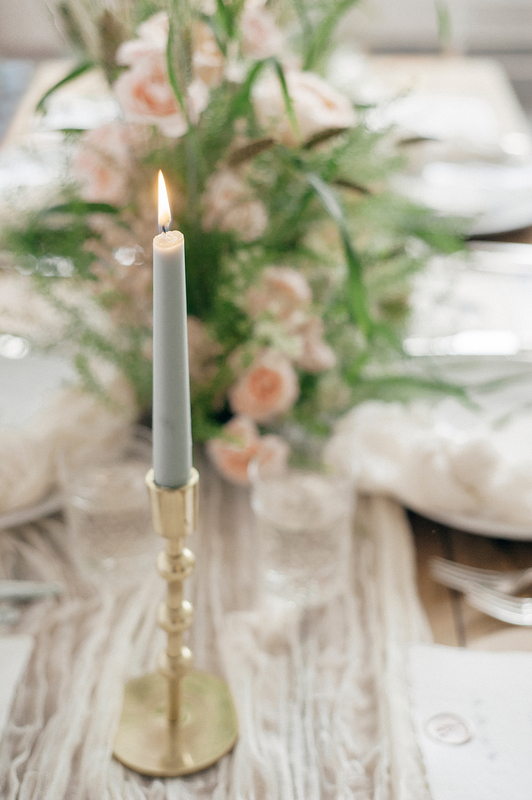 Even the cutlery and glassware add texture, with gold candlesticks adding that touch of metallic perfectly finishing the whole look. 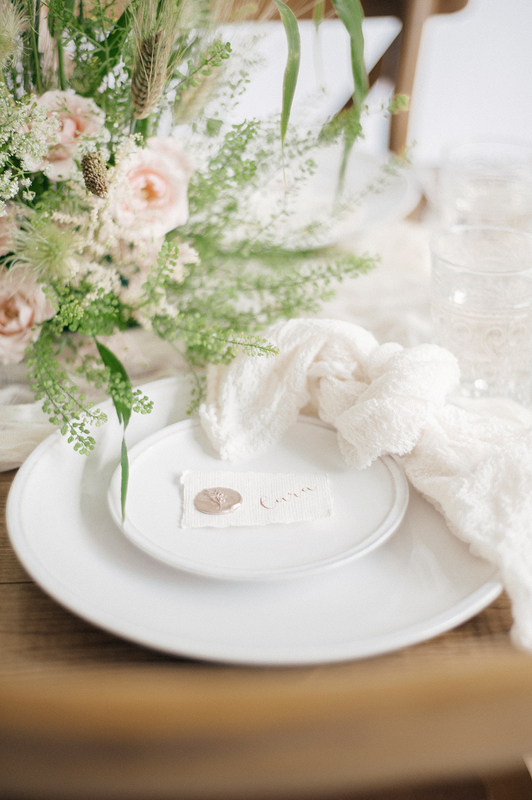 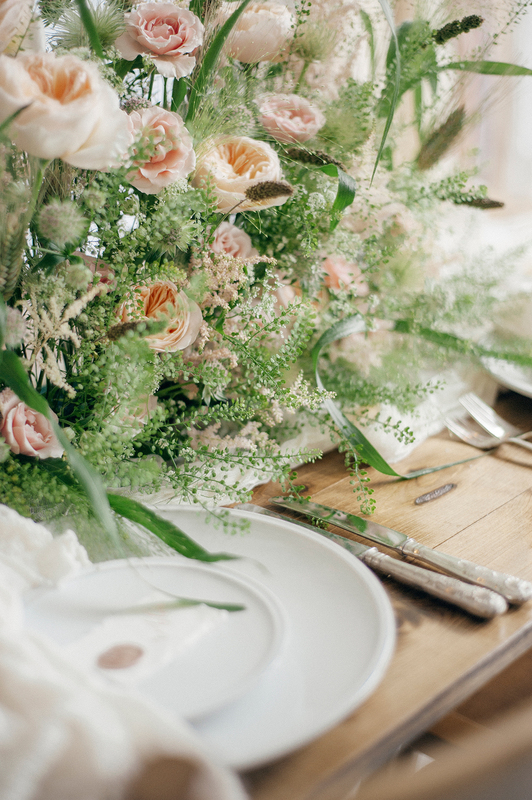 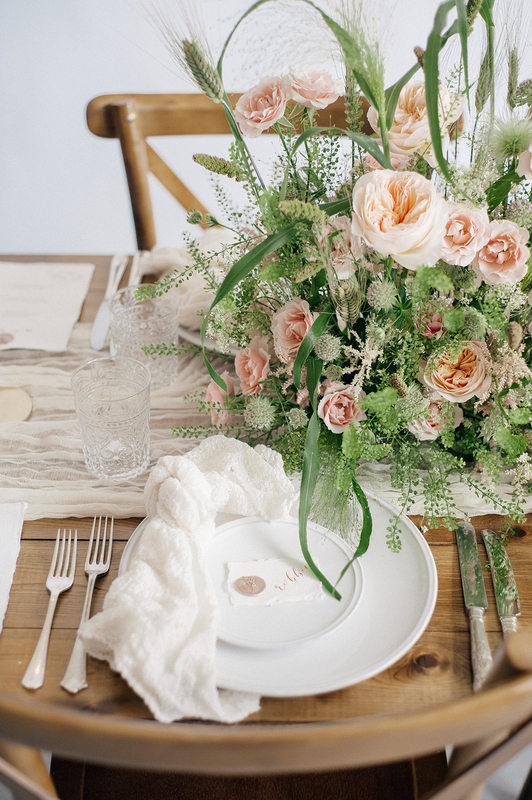 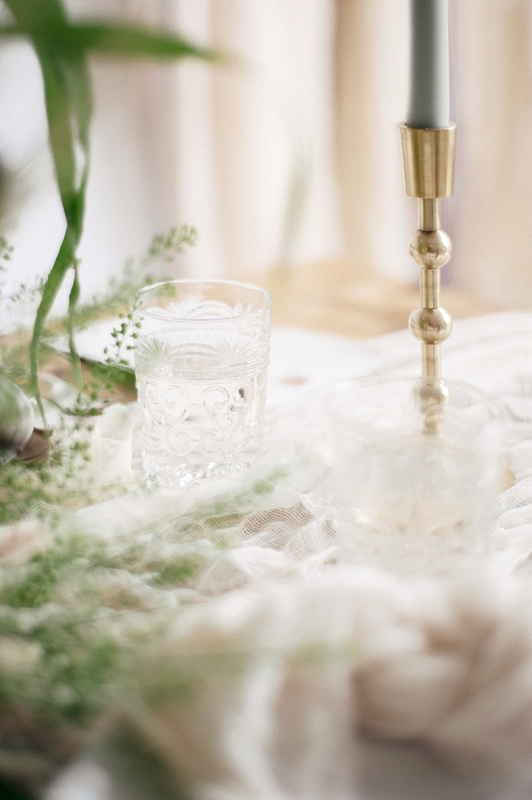 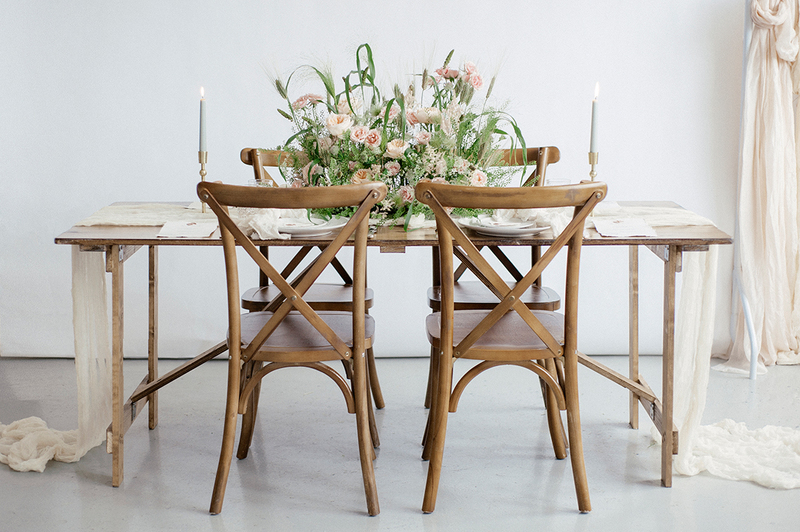 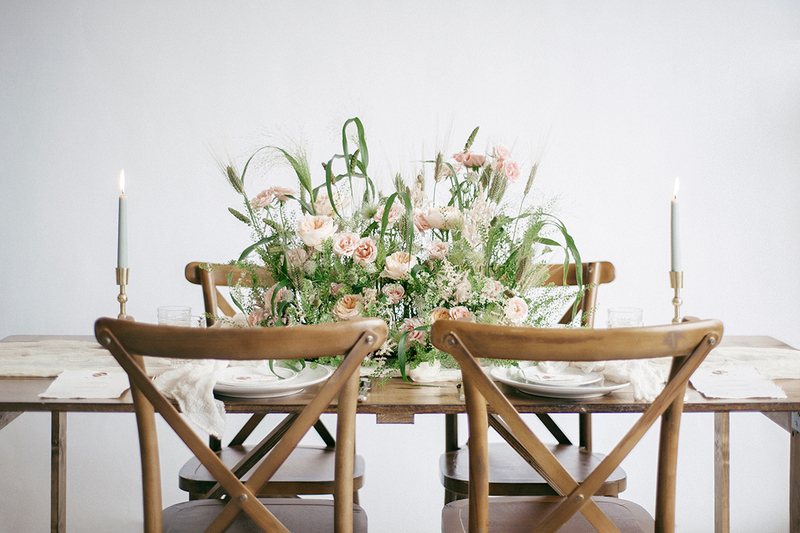 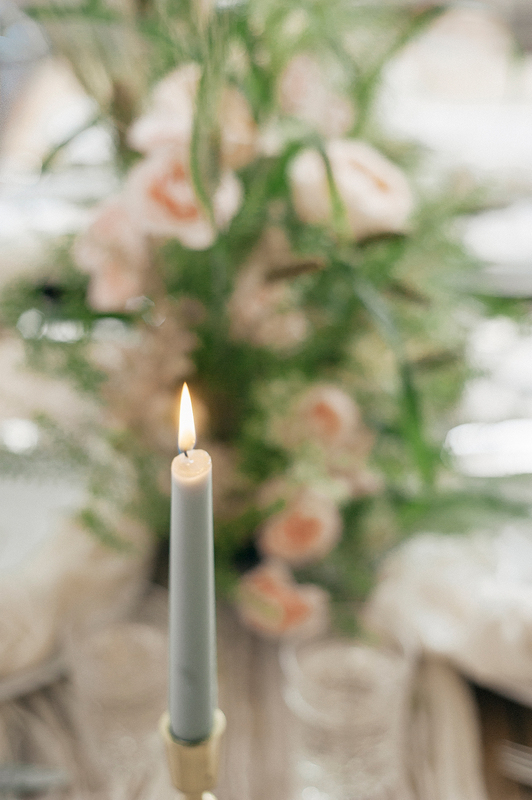 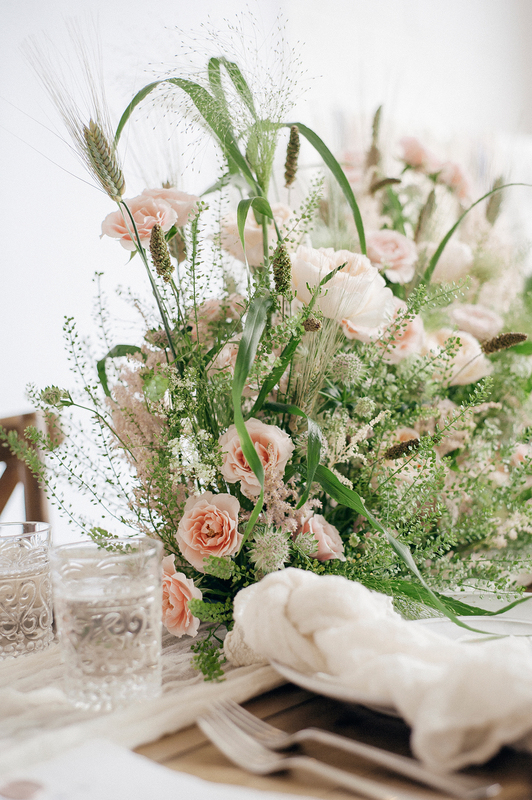 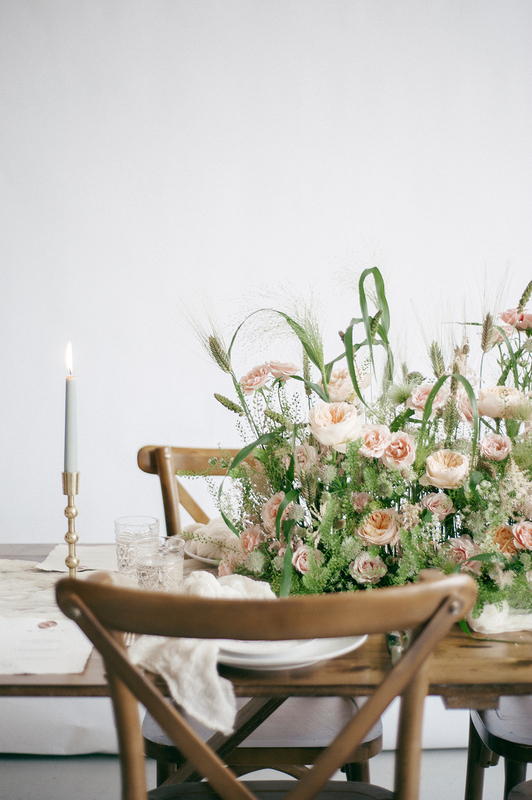 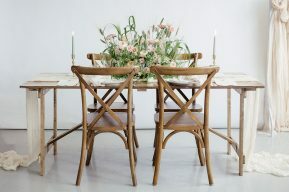 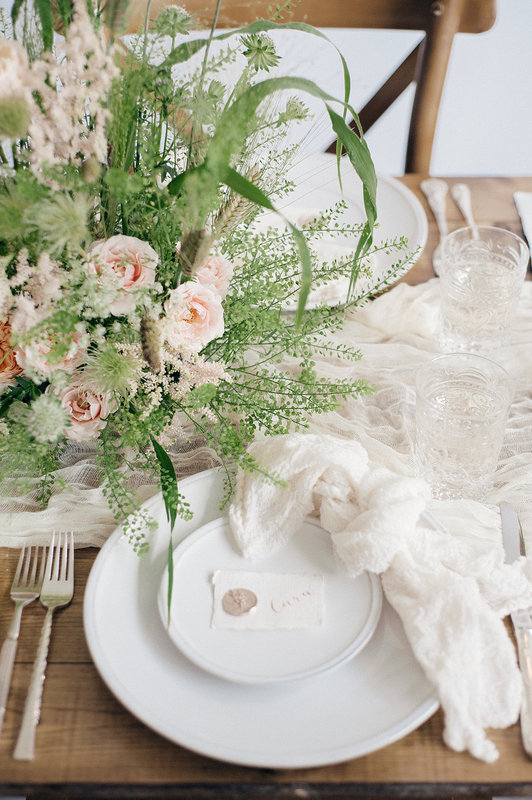 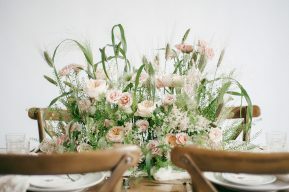 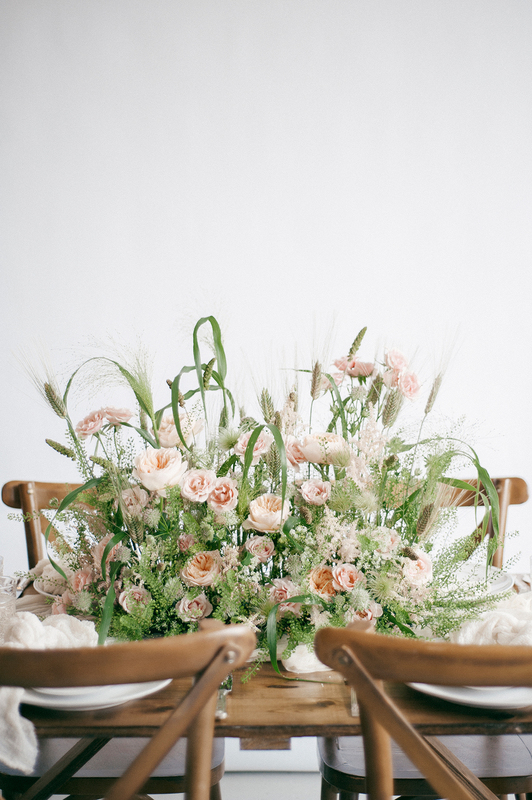 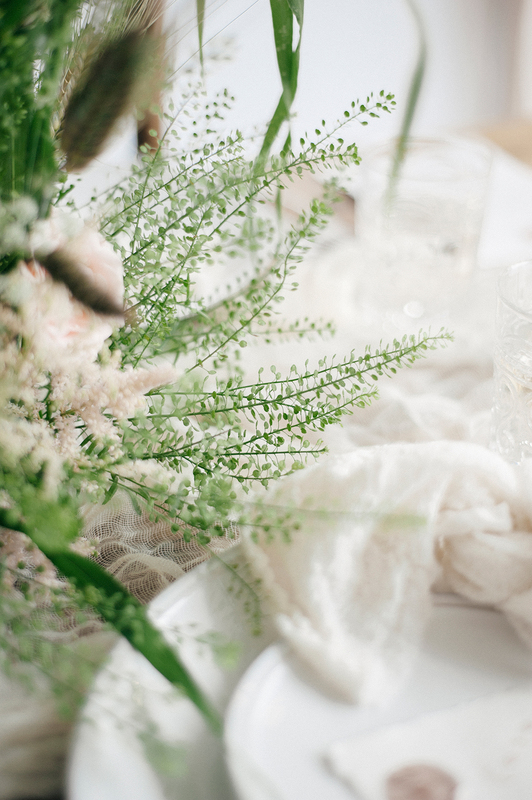 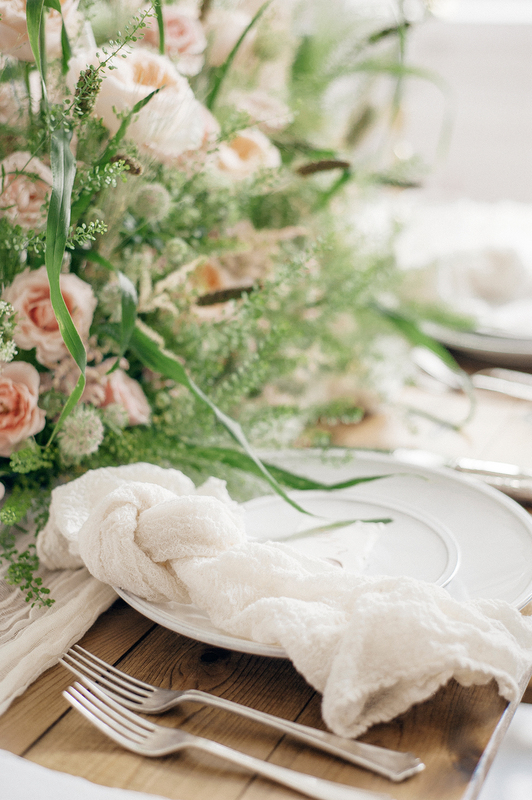 This is so easy to recreate for your own wedding day, with some careful consideration to the table top details! 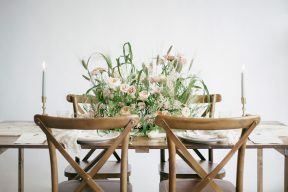 Because the best trends aren’t really trends at all! 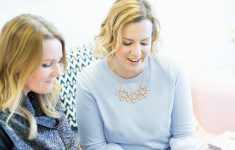 If you’re a wedding professional and would like to know more about growing your business or our upcoming workshops, pop on over to the B.LOVED Hive here!